The New Analects is the crystallization of Mr. Yan Jiehe’s thoughts, practice and innovation over the past 40 years. It’s a work of his painstaking efforts combined with a tremendous concentration. As the new Chinese culture in a market economy, it breaks the blind worship of traditional Chinese culture but adheres to the spirit of keeping pace with the times by taking its essence, discarding its dregs and putting up its innovation. Therefore, the New Analects is embodied with Conscientious elegance, Buddhist benevolence and Taoist harmony. From its draft version of 2009, trial version of 2011, the official version of 2013 to the current second version of 2016, The New Analects is beaming with new vitality. Huatuo CEO Forum for Chinese and Foreign Political and Business Leaders, launched by Yan Jiehe, is China’s high-end international civilian forum. It focuses on strengthening the image of great nation and facilitating its diplomacy with great nations so as to realize “interaction in economy, mutual trust in politics, and mutual exchange in culture.” From 2010 to 2014, the forum has been successfully held for four consecutive years. Major political leaders and economists of five continents incuding Bill Clinton from America, Tony Blair from Europe, Lee Myung-Bak from Asia, Kevin Rudd from Australia and James Mam Kam from Africa together with American economist Keener Spearing and Nobel winner Thomas Sargent discussed global hot topics with Mr. Yan Jiehe. Zhuang Yan Think Tank, the only institution in China that offers services of daily inquiry, crisis response, special operation, brand and culture building, will play a crucial role among Chinese private enterprises to meet their need for wisdom, guidance, assurance, brand improving and culture innovation. The era that knowledge changes destiny has gone with an era that wisdom changes destiny coming; the era that focuses a great deal on passion and diligence has gone with an era that values capability coming; the era that better be the head of a dog than the tail of a lion has gone with an era that better be the tail of a lion than the head of a dog. Zhuang Yan Think Tank embodies resources, wisdom and capital by optimizing resources and magnifying capital with wisdom to realize an integration between cities and industries, sceneries and people, to evolve into the headquarters of three Global Fortune 500 enterprises with a vision that industry strengthens foundation, property leads to prosperity and wisdom generates instrumentality. Zhuang Yan Think Tank strives for the better after achieving the best and advocates that the real prosperity lies in well-being of all. On Nov. 13th, 2011, Yan Jiehe made an announcement in Shanghai to establish the Huatuo CEO Forum Individuality Scholarship with 1 billion RMB, calling for the whole society to respect, value and protect individuality. Huatuo CEO Forum Individuality Scholarship breaks away from the traditional scoring standard of tests while highlighting “individuality, intelligence, kindness, diligence and fitness”. In 2012, the Individuality Scholarship was awarded in five pilot cities. It was expanded to 25 cities in 2013, 55 in 2014 100 in 2016, and the number of which has been increasing ever after. The Scholarship not only set a record in the awarded amount among Chinese civil scholarships, but also opened up a test field for Chinese education and boosted its reform. Individuality talents are inspired by individuality education; individuality education cultivates national leaders and national leaders contribute to a powerful motherland. On Dec. 18th, 1978, the third plenary session of the 11th CPC central committee opened the prelude to Reform and Opening up. Over the past 40 years, China has attracted the attention of the world and greatly influenced the world. The Forum for Enriching People and Thanksgiving encourages various circles of society to express gratitude to the times, to our motherland, and to the Reform and Opening up by the strength of private enterprises. On Dec. 18th, 2010, the first session of the Forum for Enriching People and Thanksgiving was held at Anlong, Sichuan, hometown of Deng Xiaoping, the designer of reform and opening up. On Dec. 18th, 2011, the second session of the Forum for Enriching People and Thanksgiving was held at Shenzhen, the very first place where conducted the policy of reform and opening up, witness by Yan Jiehe and tens of thousands of private entrepreneurs. On Jan. 8th, 2013, the third session of the Forum for Enriching People and Thanksgiving was held at Huaian, hometown of China’s first premier Zhou Enlai, under the theme of “the journey of thanksgiving, culture and soul”. On July, 25th, 2014, the fourth session of the Forum for Enriching People and Thanksgiving was held at Guangzhou in honor of Hu Yaobang, the vanguard of the policy of reform and opening up. 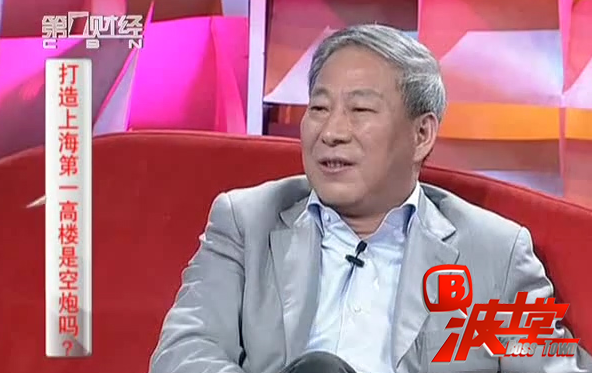 Mr. Yan Jiehe believes that no rich man is imperishable ever since ancient times except education, science and books. Wuwei Academy (wuwei means five flavor in Chinese) compares joy, anger, sadness, grief and pleasure of life to the five flavor of sweetness, spiciness, sourness, bitterness and saltiness, signifying different life phases from the growth of chasing fame and wealth, maturity of having fame and wealth to the success of not caring about fame and wealth. Since the ancient times, people who indifferent to fame and wealth are always who already have them. How can one be indifferent to them when s/he doesn’t have them? From the growth of sweet joy, the pain of spicy anger, maturity of sour sadness, suffering of bitter grief to the success of salty pleasure, one experiences the phases like an ambitious athlete fitting character of Confucius, a mature coach with character of Buddhist contribution and a successful judge with character of Taoist peace.